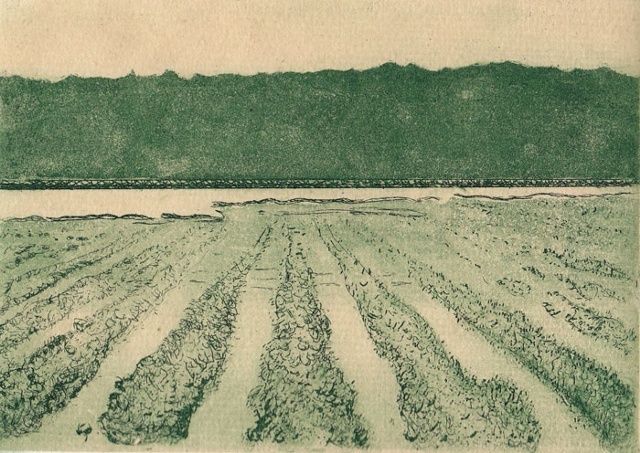 Pictures of flooded cotton fields, following the early 2011 deluges in Queensland, Australia, provided the idea for this print. The image was printed on a sheet of my handmade thin gampi paper which was simultaneously adhered to a heavier cotton rag paper in the chine collé process. Edition of 12.